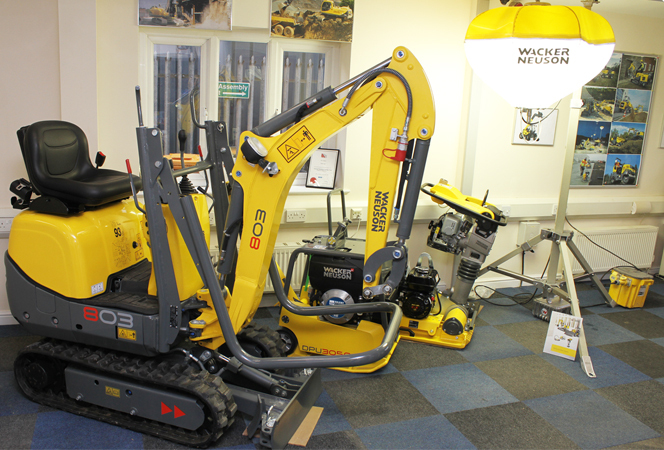 JCK Limited are delighted to be the Isle of Man Authorised Wacker Neuson Dealer. Wacker Neuson is a global manufacturer of light and compact equipment with a comprehensive product portfolio of over 300 product groups. Wacker Neuson is the partner of choice among professional users in construction, gardening, landscaping and agriculture. You can get virtually any unit for concrete processing from Wacker Neuson. Thanks to the lighting from Wacker Neuson, you are not tied to the day-night rhythm in your work and can complete projects faster. Thanks to the lightingfrom Wacker Neuson, you are not tied to the day-night rhythm in your work and can complete projects faster. Arm your project against penetrating water and dirty water with powerful pumps from Wacker Neuson. Heat working areas, construction sites, premises and industrial buildings reliably with heaters from Wacker Neuson. You will find the ideal tracked excavators, mini-excavators or wheeled excavators at Wacker Neuson. The wide variety of Wacker Neuson attachments for Wheel Loaders turn your compact construction machineinto a multi purpose tool for material handling, on construction sites, in landscaping and many other applications. The dumpers from Wacker Neuson transport up to 10 tons of bulk material precisely and reliably, even in confined spaces.